Sold as a Two Pack of Rails Only! Foot Peg is NOT included (but shown to right on rail for example). 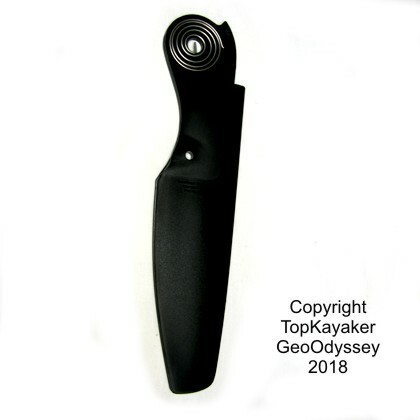 Best used as a replacement part for bent or broken foot brace rail and custom rudder install. 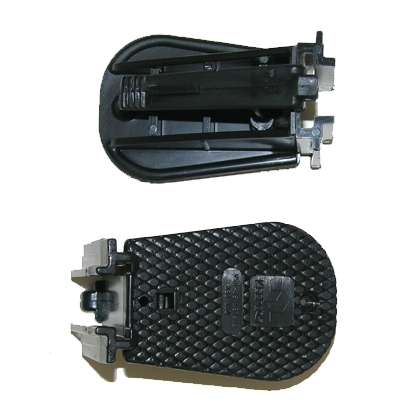 Keeper brand foot braces are very common and found on Perception kayaks, as well as other brands including Modern Wilderness Systems kayaks with rudders and thier sit-on-top kayaks. Keepers fit other brands of kayaks as well, including, older Necky, early model Old Town kayaks, Aquaterra, Islander and Dagger kayaks. 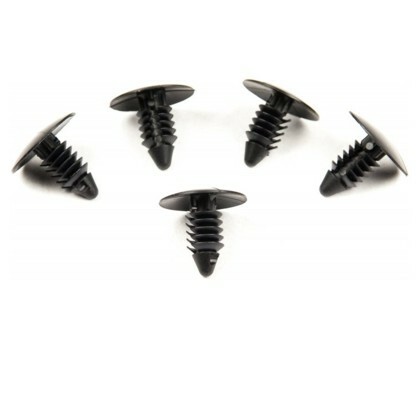 This set is best used as replacement rails, or for parts when used in rudder foot controls. Mounting hardware is not included. Please See the Keepers Foot Brace Kit for non rudder applications. 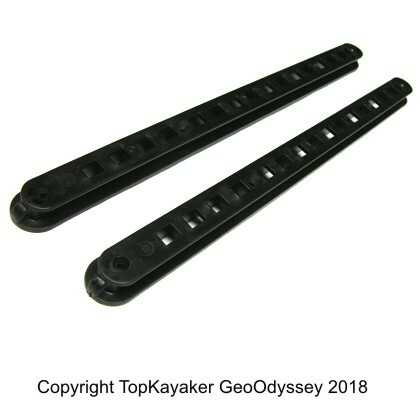 Rudder users: These rails are not an exact match, in width, to older Keeper Rails, or older Keeper Tracks, circa 1990s to 2005, common on Aquaterra and Perception kayaks. This Keepers foot brace rail can be used with these older rudder systems after a minor alteration. Please ask for instructions to be included using the comments box at check out. 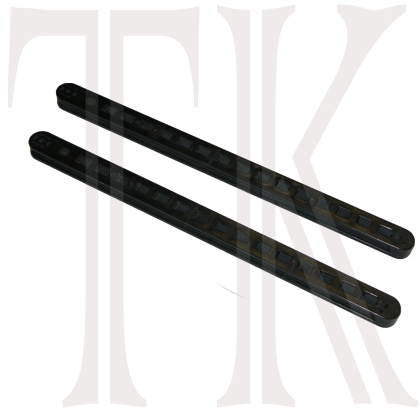 These Keeper Rails are compatible with all Aquaterra, Perception and Dagger brand kayaks, outfitted with Keeper5 foot pegs or Keeper6 foot pegs, regardless of age. Fits a wide range of other brands as well. 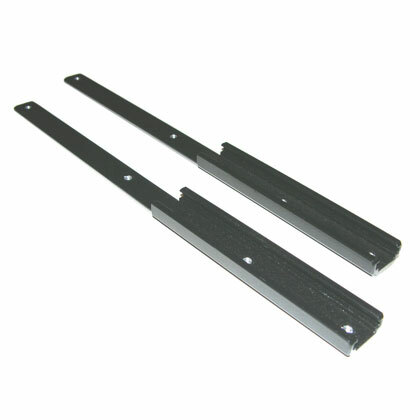 The rails (shown above) are 15 5/8 inches long by 1.25 inches wide, by 5/8 inch deep. Bolt holes on ends are 14 5/8 inches on center, a 3rd additional hole is off center. Left and right is exactly the same. Sold as a pair. The Keeper6 foot pegs are sold separately.